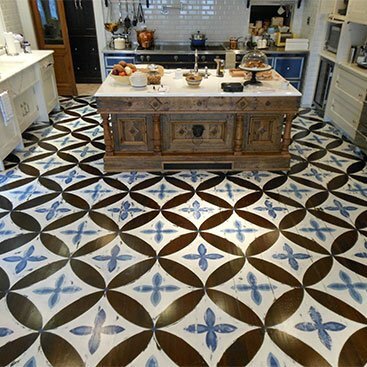 Your flooring should provide a warm, and visually stimulating, environment. 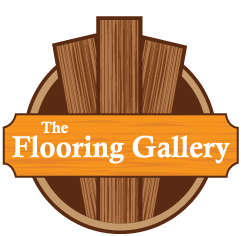 Throughout the years, The Flooring Gallery LLC has been providing the building industry, designers, architects and homeowners with the total flooring experience, from concept to completion. Our website will help foster design ideas, and offer examples of various styles that we can bring to life for you. Share your vision with us, and we’ll help match our product offerings and services to those products that best reflect your personality and taste. Flooring for a classic style can include hardwood flooring, engineered wood products, LVT and carpeting. A refined style, developed, rich in details, found both in the structure of furniture, lighting, etc. as well as in sets and prints. The furniture is the “art” type, carved or inlaid details. The style is characterized by floral elements, vegetable, various leitmotif or scenes drawn from legends. Classic Reinterpreted Style preserves the structure of old forms or parts, yet updating them sometimes, or fusing some elements of a furniture style with modern elements. This creates a fusion between old and new. Finishing parts are in a new approach-painted and varnished, with different and innovative colors, surface gold, silver, finished with patina or serigraphic. 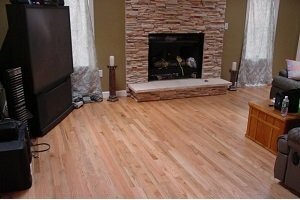 Solid hardwood flooring, most commonly using white or red oak stained in dark colors. Engineered wood can be effectively used for its classic patterns, including parquet patterns. Classic carpet styles, with flowery motifs, lend themselves to this style effectively. LVT provides classic with modern elements. Flooring which has a simple, streamlined look will provide a strong base for various modern design options. From minimalist to “shabby chic” we can help you integrate the best flooring choices into your home design. Modern, characterized by simplicity, and a clean, streamlined style requires an interesting floor choice that does not detract from the other design elements in the room. Suitable for a modern style are solid hardwood floors in subtle colors, and engineered wood floors, which can be used to introduce elements of color and subtle patterns. LVT and CVT, as well as carpet, can be effectively used as well. Introducing elements of geometric shapes and colors from subdued to flashy. LVT’s choice of bold colors and patterns is also well suited to the Retro Style, mimicking the styles of the ’50s, ’60s or ’70s. The rustic style structure can be comprised of crude, rough details.. The structural elements of furniture / lighting can be inspired by tree trunks, logs, branches, jute. The style is found in mountain vacation homes, rural, and country inspired designs. Rustic, Country, and Arts and Crafts will be complimented by broad plank solid wood, reclaimed wood. Solid oak flooring in traditional colors, and engineered flooring display the characteristics of rustic, and distressed looks. Painting provides a very rustic look, as in the image above left. We offer major brands of carpeting, in all styles. We have expert installation available, and can help you choose the best carpeting for your needs. When selecting carpeting for your home you have many things to consider and many options to weigh. Carpets come in a vast array of colors and styles, textures and fibers and there are many different qualities of carpets to choose from. Carpets come in a vast array of colors and styles, textures and fibers and there are many different qualities of carpets to choose from. The two most popular types of carpeting today are loop pile and cut pile. Loop pile has individual strands of yarn pulled through the carpet backing twice, creating a small loop. Cut pile has the loop cut at the top, leaving tufts of yarn that stand straight up. A cut pile carpet is generally more durable than a looped pile carpet. Cut pile carpets come in a variety of styles such as shag, textured, saxony and velvet or plush. Loop pile carpets would be a berber, cable or sisal. Loop pile carpets are a good choice for high traffic areas. Luxury vinyl offers durability and the look of your favorite flooring material. Many natural materials and color schemes can be replicated. Luxury vinyl products provide an excellent combination of durability and beauty. The product can look like slate, stone, wood, or stamped concrete. Styles vary and you can choose tile or planks in 5” and 7” widths. The 7” width provides a popular rustic look. The product is waterproof and durable. It can be installed over many surfaces – even over ceramic tiles with no need to fill in grout cracks. East to maintain, and guaranteed to last a long time, luxury vinyl tile and planks are a perfect combination of looks and practicality. Laminates are an economical alternative to the classic look of wood or stone and with durability and ease of care. 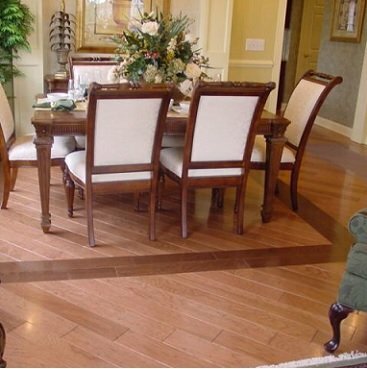 Laminates can be made to look exactly like your hardwood of choice, be it mahogany, oak, or cherry. Because laminates are stress resistant, they can be engineered for use most anywhere in the home. 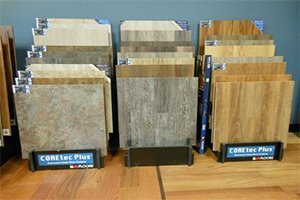 They are a multi-layer synthetic flooring product, designed to imitate the appearance of real wood, or other flooring materials. The core layer is manufactured mostly from melamine resin and fiber board material. An imprinted, textured image made to look like real material is affixed to the top. It is sold in planks or panels, and may even look like stone or tile. The material is thick and water resistant and is shaped so that they fit together like snug, interlocking pieces. 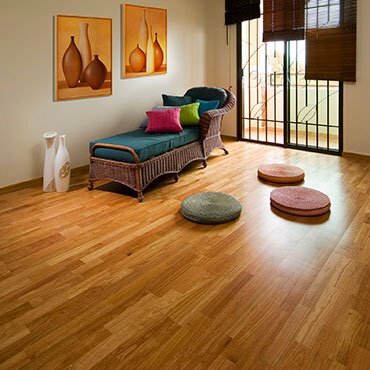 Laminates can be made to look exactly like your hardwood of choice, be it mahogany, oak, or cherry. Because they aren’t made of real wood, they can withstand extreme impact, scratching, cigarette burns, and exposure to sunlight, all without fading or being heavily damaged. To maintain a laminate floor just requires vacuuming, or a wipe-down with a damp mop or rag. Laminates can be installed most anywhere, including wet areas. They can also be installed over heated concrete slabs, something that hardwood flooring is not designed for. CALL 973-635-1026 FOR A COMPLIMENTARY DESIGN PLAN!